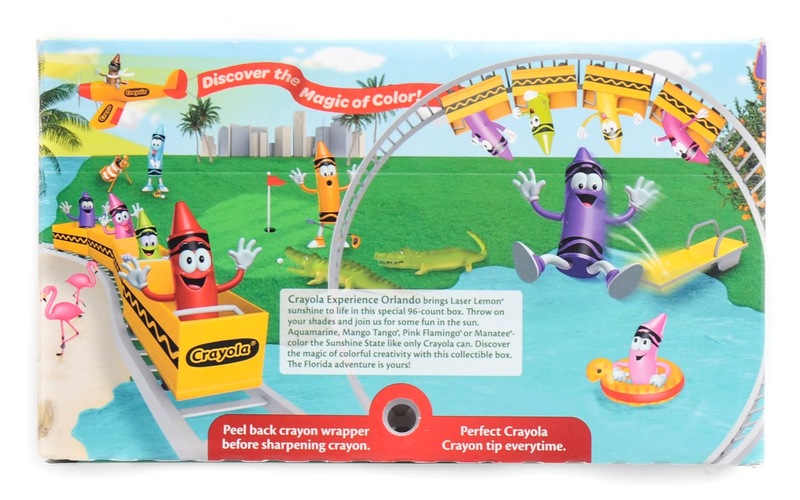 The Crayola Experience Orlando box came out in 2015 in conjunction with the opening of the Crayola Experience in Orlando, Florida that same year. The only place you can get this box is in Orlando, Florida! 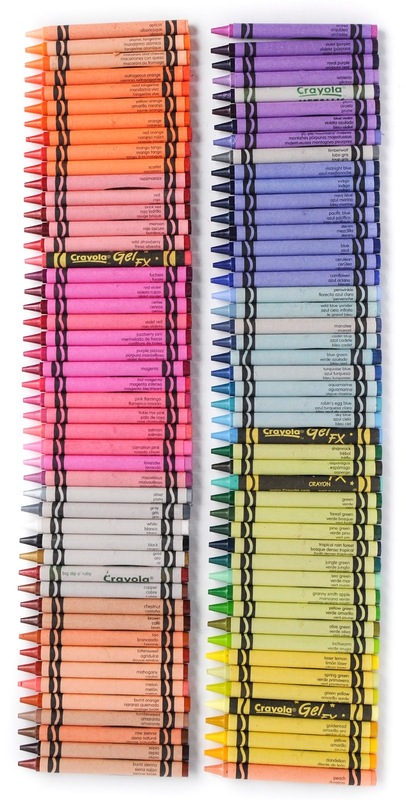 Each Crayola Experience has it's own unique box. This box features lots of fun things to do in Florida. I was given this box in exchange for a review. This blog post contains affiliate links. The front of the box features Tip and friends enjoying the beach. One crayon is sipping a drink relaxing in a chair, another is melting on a chair, and another is in a boat pulling crayons that are water skiing. The Crayola Experience is in the background. The back and sides of the box also feature more characters doing activities. One is flying an airplane with the words "Discover the Magic of Color", another is diving off a diving board, another is floating in the water watching, two sets of crayons are on a roller coaster, a couple are golfing, two are making a sand castle, an the last two trying to reach orange by one standing on the others. The city of Orlando is in the background. The box features the following animals; alligators, flamingos, birds and a manatee. I assume all these animals are native to Florida. 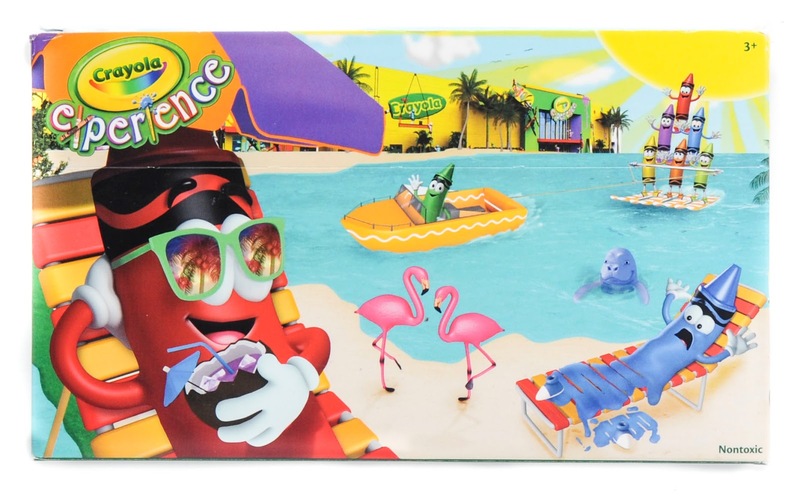 The box also features water, lots of palm trees, a bright sun, orange trees, and a golf course. The box is called 96 Degrees of Color. I think it is because there are 96 crayons in the box. Who knows if it gets that hot there? 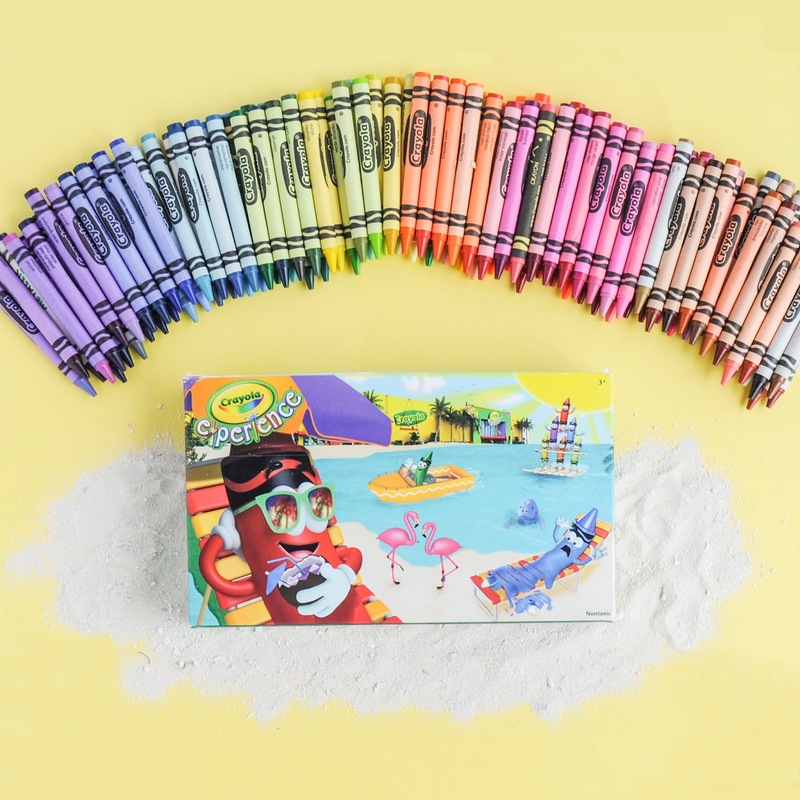 The back of the box says, "Crayola Experience Orlando brings Laser Lemon* sunshine to life in this special 96-count box. Throw on your shades and join us for some fun in the sun. Aquamarine, Mango Tango*, Pink Flamingo*, or Manatee*-color the Sunshine State like only Crayola can. Discover the magic of colorful creativity with this collectible box. The Florida adventure is yours!" This is an extremely fun box. It encapsulates the essence of Orlando perfectly. I can not wait to see the other boxes.